The City of Ottawa, incorporated in 1853, operates as a non-home rule municipality. Ottawa is governed under the Commission form of government consisting of a Mayor and four Commissioners. The Mayor and four Commissioners are elected at large at the municipal election and hold office for four years. 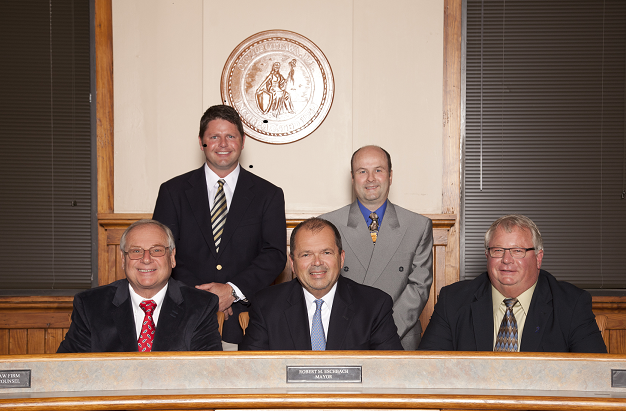 Regular meetings of the City Council are held at 7:00p.m. on the first and third Tuesday each month at City Hall. All residents are welcome and encouraged to attend. City Council meetings are videotaped and broadcast on Mediacom local channel 19 the Saturday following the meeting at 1:30p.m. and the following Tuesday at 7:00p.m. For information regarding agendas items and minutes, go to City Council Minutes & Agendas, or contact the City Clerk’s Office at 815-433-0161. As always, we welcome your phone calls and written correspondence. You may contact any City Council member by e-mail at kczyz@cityofottawa.org or by regular mail to City Hall, 301 West Madison Street, Ottawa, Illinois 61350, or by calling 815-433-0161.